Edward M. Phillips is an assistant professor of physical medicine and rehabilitation at Harvard Medical School (HMS) and is director of the Institute of Lifestyle Medicine (ILM) at the Joslin Diabetes Center. In his work at ILM, he has directed 12 live continuing medical education (CME) programs, starting in India in 2006 and continuing with twice-yearly courses sponsored by the HMS Department of Continuing Education. He is course director of a suite of seven online CME modules in lifestyle medicine, which have been completed by more than 7,500 clinicians from 115 countries. Additionally, Phillips is a fellow of American College of Sports Medicine (ACSM) and serves on the executive council that developed and leads the Exercise is Medicine™global initiative. Phillips has authored more than 60 scientific publications and is co-author of ACSM’s Exercise Is Medicine: A Clinician’s Guide to Exercise Prescription (Lippincott, 2009). 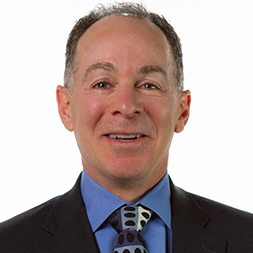 He chairs the Exercise Is Medicine Education Committee and serves on the advisory board of the American College of Lifestyle Medicine and on the Health Sector of the U.S. National Physical Activity Plan. Phillips is adjunct scientist at the Jean Mayer USDA Human Nutrition Research Center on Aging at Tufts University in the Nutrition, Exercise Physiology and Sarcopenia Laboratory where he works as a study physician and investigator on several studies that address the areas of exercise physiology, resistance training in the elderly, body composition, and nutrition. He was the site principal investigator for the Health Resource Service Administration Preventive Medicine Training Grant (2010–2013), educating Yale Preventive Medicine residents in lifestyle medicine.